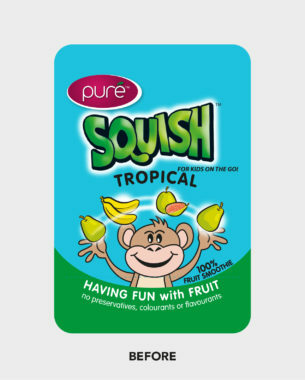 Following on from their new range of baby purées branded ‘Squish Baby’, it was decided that the original toddler range, Squish, should be refreshed. 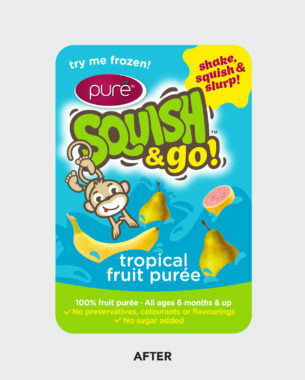 The name as also changed to ‘Squish & Go’ to promote the on-the-go convenience of the product. A toddler monkey was developed, and a graphic language of him interacting with the various fruit flavours was applied to the range.